Listen to this song by virtuoso stringed instrument-collecting savant David Lindley. It’s ‘Tijuana’ a flamenco-styled folk tale, only one of many styles at which Lindley is skilled. 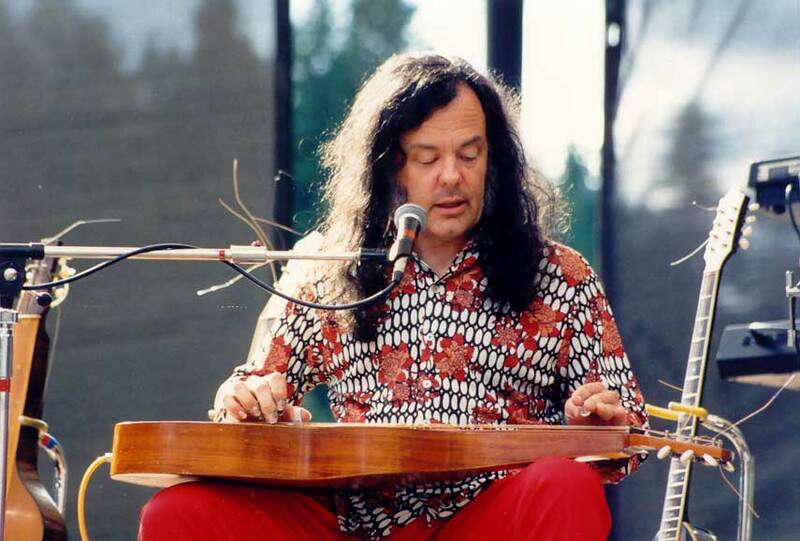 David Lindley’s chops have been utilized while playing with musicians as varied as Jackson Browne, Warren Zevon, The Bottle Rockets, and the Bangles, among many others. This doesn’t include his work with Ry Cooder as well, a fellow slide guitar player and folk music archivist. His best known song, ‘Mercury Blues’ is in many ways only a fraction of his musical interests. Where that song holds the banner of blues rock pretty high, Lindley’s mastery of the blues is really only an extension of his interest in folk music all over the world. It helps of course that Lindley is exceptionally skilled at a variety of stringed instruments from the lap steel guitar to the bouzouki. This allows him access to all manner of textures when putting across his material. In seeing him recently at the Burnaby Blues and Roots Festival, I was taken on an excursion of North Africa, Greece, the Appalachians, and the Mississippi Delta during the course of a single number. In this, Lindley’s musical patch is about making a connection between cultures, and a hint that the blues and other Western folk music, however you think of these musical forms, are far older and more widespread across cultural lines than you previously may have suspected. When listening to Lindley’s set at the festival, it was like being lifted up to a high place where I could see that the lines dividing musical traditions are purely illusory. It was like the realization that the world beneath me was one land, one nation, one musical world. For information on tour dates, and a tour of Lindley’s collection of exotic musical instruments, check out davidlindley.com. Pingback: Bring on the 2013 Burnaby Blues and Roots Festival!